How can i get your contact form to redirect the input context to a specific e-mail instead of going back to your site? Website is ffacconline.com but I am also beta testing on a site that I have not uploaded yet. Unfortunately all submissions will be sent to our server. you can manage submissions here, or if you prefer, you can forward a COPY to third party services such as dropbox, Google drive. 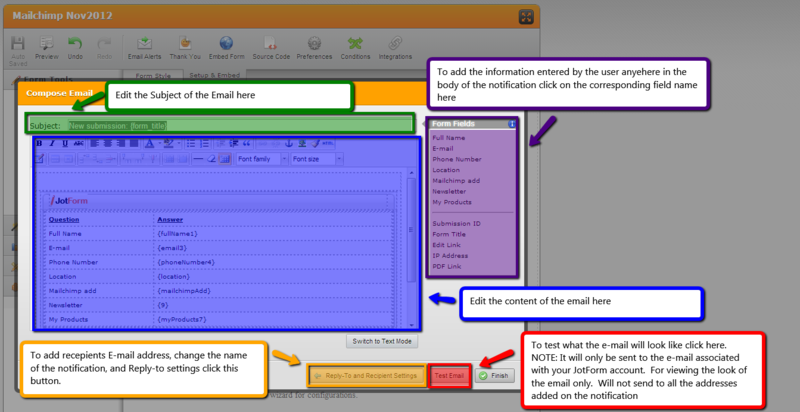 You can set Notifications that include all the information collected in your forms. 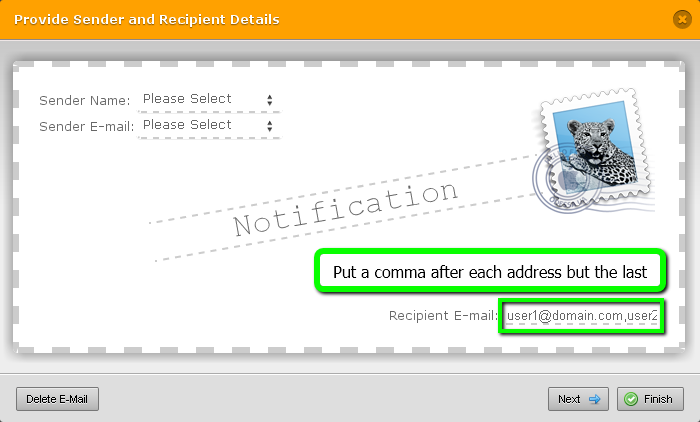 Autoresponder - sent to the person who filled out the form. 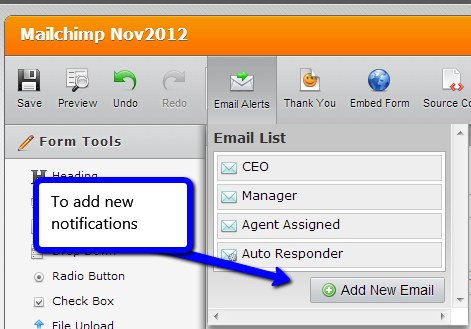 Note: You can add multiple Notifications and Autoresponders if you like.